Even in the summer, the air gets brisk in the evenings in Leadville, Colorado due to the town’s elevation of over 10,000 ft. 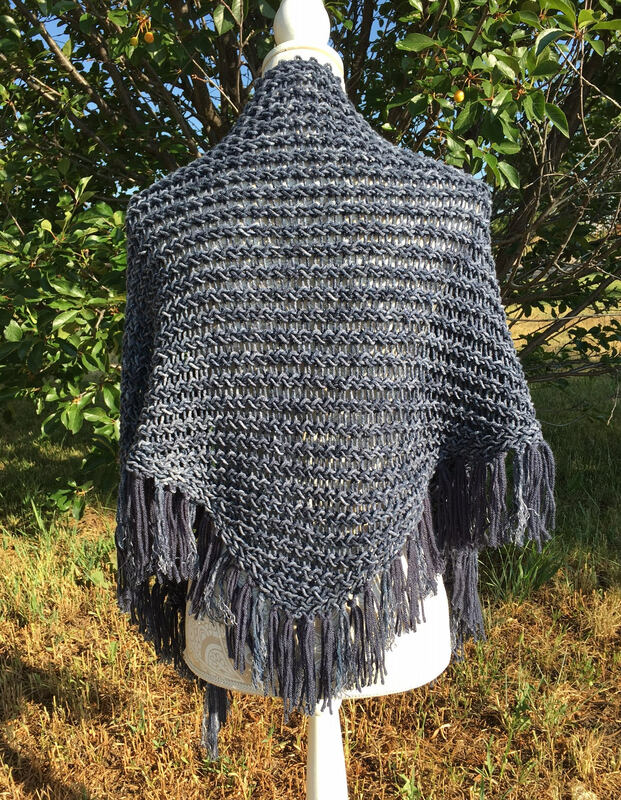 This symmetrical triangular shawl is the perfect accessory to keep the chill off of your shoulders. 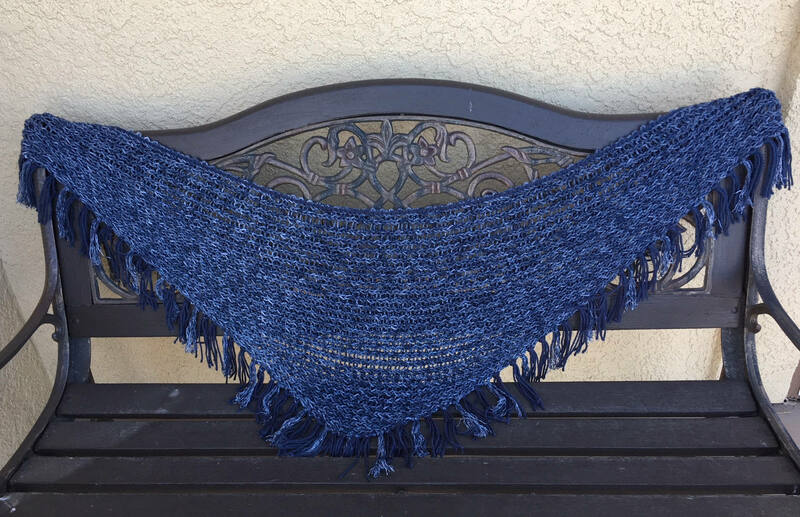 The Leadville Shawl is double-knit from tip to tip on a 62-peg long loom (like the Knifty Knitter blue long loom). 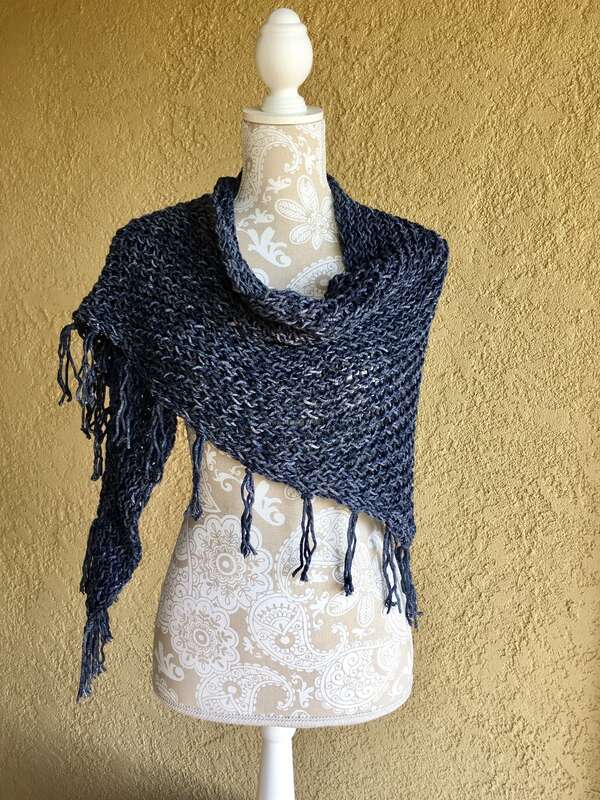 The blue sample was knit using 360 yards of Yarn Bee Dyeworks yarn in the Denim colorway. 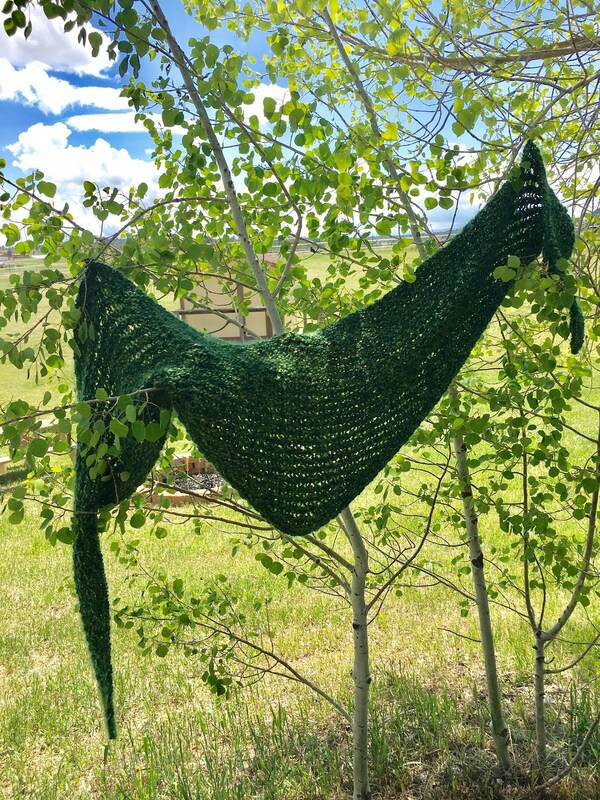 The green sample was knit using 360 yards of Lion Brand Homespun yarn in the Forest colorway. 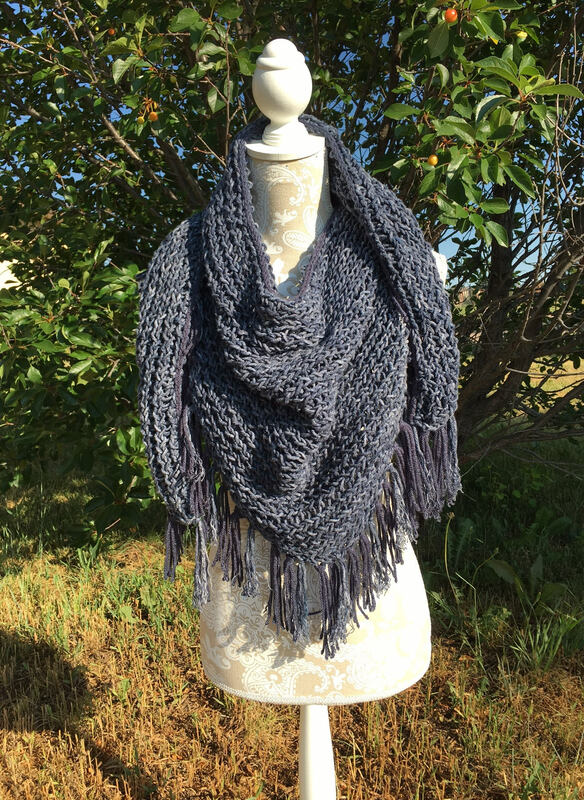 A basic knowledge of double-knitting on a long loom is necessary. 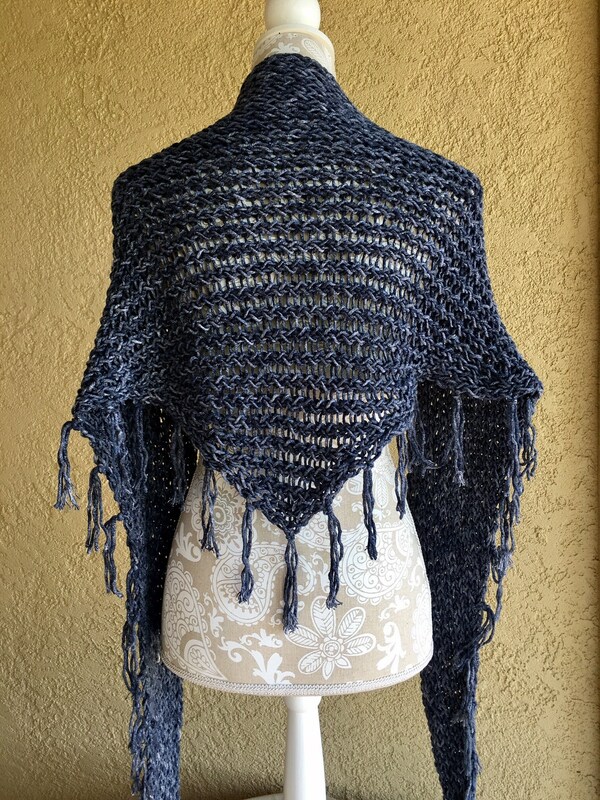 But if you’ve never double-knit on a long loom, just go to www.knittingboard.com and learn. They have wonderful videos and instructions to get you going in no time! 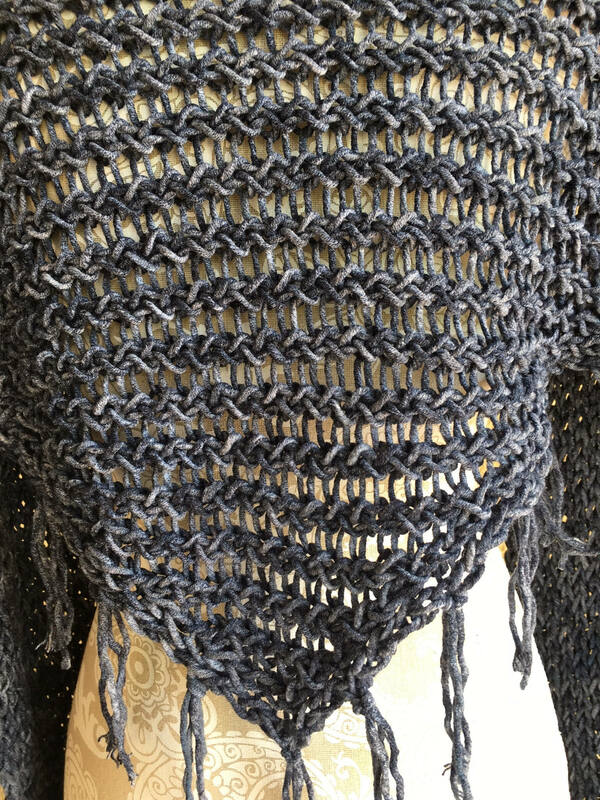 Double-knitting on long looms is a lot of fun and creates beautiful fabrics that you can’t get single-knitting as a flat panel on a loom. 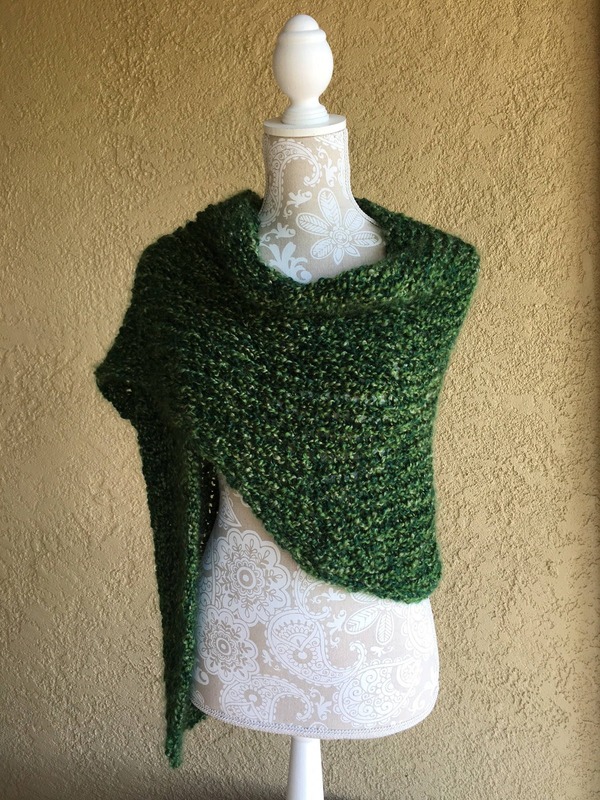 The pattern includes easy-to-read diagrams of the wraps and two picture tutorials on how to increase and decrease when double-knitting. 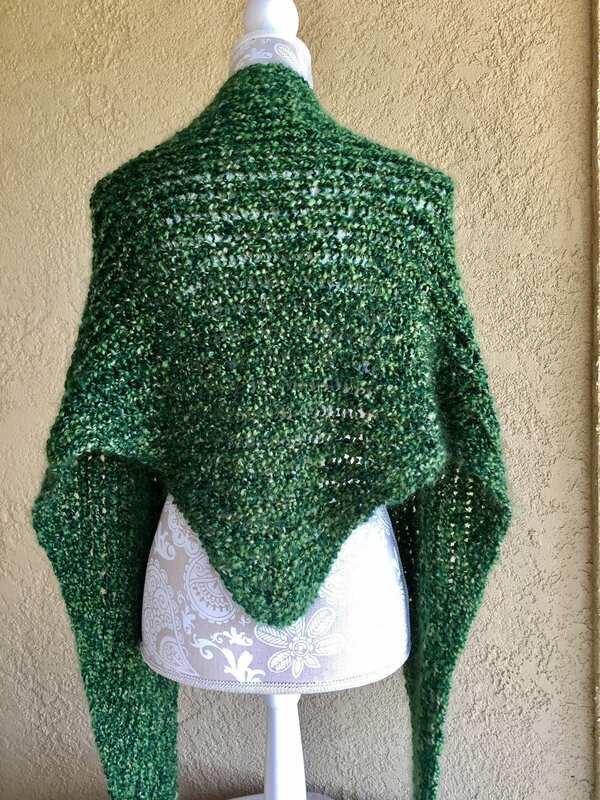 As such, this pattern is suitable for an advanced beginner knitter.